The new line-up for the U.S. Supreme Court will meet tomorrow to decide what’s next for the constitutional challenge to North Carolina’s controversial voting rights law. The court’s conference comes just as a local advocacy group released a study showing that same-day voter registration has helped increase voter turnout in the state. Same-day registration is a process that was reinstated for the general election in November after a lower court struck down the state’s omnibus voter ID law. 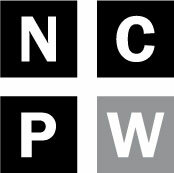 There are three parts to the case North Carolina v. North Carolina State Conference of the NAACP and justices could decide to take up and/or resolve one part, all or none. The first part is the appeal as a whole. The second part is a motion to dismiss the appeal that was filed by state Attorney General Josh Stein and Gov. Roy Cooper. The third part is a motion filed by the state legislature to intervene in the case and keep the appeal alive. The case has been postponed twice on the conference calendar and justices have already discussed it at one previous conference. If any news results from Friday’s conference, it likely won’t be announced until Monday. Rick Hasen of the University of California, Irvine School of Law, said sometimes when justices decide to distribute a case for a second conference, it means they will take it on. “It’s also possible it means a lot of other things,” he added. It could be that there are more questions, that a justice wants to take a closer look, or that that they decided not to take on the case but one of the justices wants to include a note with the order. One thing to note for tomorrow’s conference is that President Donald Trump’s Supreme Court pick, conservative Justice Neil Gorsuch, will have a vote on what happens to the case. Hasen said Gorsuch has not previously had to decide any voting rights cases, so speculation about where he stands on the issue would only be a guess. He added that it’s important to remember that things are quiet after the conference, “no news is no news.” No news on the case doesn’t necessarily equate to anything good or bad, and eventually things will come to light. The judges of the Fourth Circuit Court of Appeals that struck down the law in question found that it sought to “target African Americans with almost surgical precision” to limit access to the ballot box. As a result of the Fourth Circuit ruling, North Carolina was required to reinstate several voting processes for the 2016 general election, including a longer early voting period and same-day registration, and removed the photo ID requirement. Same-day registration allows voters to go to any early voting location in their county, register, and vote in one transaction. 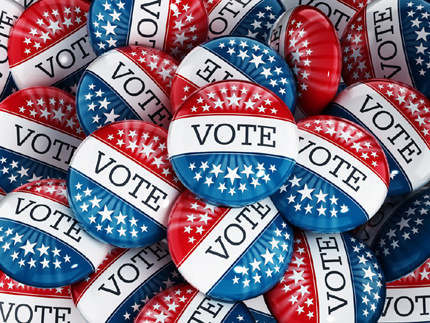 The Southern Coalition for Social Justice on Thursday released a report analyzing the impact of same-day registration in the November election. The organization found that, among other things, same-day registration was used broadly by Republican, Democratic and unaffiliated voters; it allowed for participation from North Carolinians who move frequently; it created a safety net for voters whose registration had been inadvertently removed or not processed; and it provided a secure and convenient way to register eligible voters. According to the report, 100,258 North Carolinians used same-day registration in the November election, an increase from the 97,100 who used the process in the 2012 general election. Even more voters used the process in the 2008 general election, 103,535. Of the voters who used the process, 52 percent were between the ages of 18 and 34, but voters of all ages used same-day registration. Slightly more Democrats used the process in terms of absolute numbers, but a higher proportion of Republicans used it according to the report. 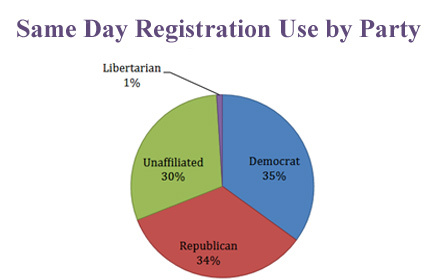 Democratic registrants comprised 35 percent of all same-day voters; Republicans 34 percent; unaffiliated 30 percent; and Libertarian 1 percent. The report also points out some of the common reasons that people use same-day registration, including issues with a prior registration, having missed a mail-in deadline, and simple convenience and security. The report also cites real-life examples with quotes from North Carolina voters who took advantage of the same-day registration process. Allison Riggs, Senior Voting Rights Attorney at SCSJ, said administering an election where nearly 5 million people vote is never going to be a perfect task. The report concludes by recognizing that same-day registration has helped increase voter turnout in since its adoption in 2007.